What Are Floating Rate Notes? | Lysander Funds Ltd.
What Are Floating Rate Notes? In today’s environment, short term rates have been held at artificially low levels in an attempt to kick start the economy. As sentiment improves, central banks will be incentivized to increase rates in hopes of keeping inflation in check. When rates go up, bond prices fall. This has been the general consensus amongst investors when faced with the prospect of rising interest rates in the current economic environment. Even Consumer Price Index (CPI) linking Real Return Bonds, or RRBs, which are designed to insulate investors from rising inflation do not protect investors from an increase in real rates (nominal rates – inflation). When nominal rates increase faster than inflation, long duration RRBs will still decrease in price. So where does this leave investors who wish to protect their portfolio against the next move up in interest rates? One answer is floating rate notes, or FRNs, which have maturity dates similar to conventional bonds but benefit from coupon resets at periodic points in time, typically three months. Coupons are determined based off of reference rates specific to each country. In Canada, the Canadian Dollar Offered Rate (CDOR) forms the basis for determining each bond’s coupon. This is analogous to LIBOR in the United States and is based off of “the average rate for Canadian bankers’ acceptances for specific terms-to-maturity, determined daily from a survey on bid-side rates provided by the principal market-makers, including the major Canadian banks” . The adjustment to the coupon effectively reduces the interest rate sensitivity of FRNs to the period between resets, helping to mitigate the impact duration has during periods of rising interest rates; yields increase while prices remain constant. In the corporate bond market, FRNs, like typical bonds, benefit from credit spreads which provides additional yield over the reference rate. As credit spreads remain at recessionary levels on historic terms, Corporate FRNs allow investors to benefit from both the added yield of Corporate Bonds while protecting against a movement up in short term interest rates. John Laing received his Charted Financial Analyst designation in 2012. 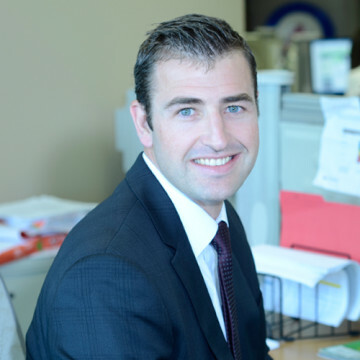 John joined Canso Investment Counsel in 2009 as a Portfolio Analyst and is now a Portfolio Manager. Prior to joining Canso, John held various positions at Toronto-Dominion, most recently as a Product Specialist in the Securities arm of TD.